Pinpointing the best attribute of the Apple iPhone 6 Plus is near impossible. This phone has an amazing everything. From the technologies that go behind the remarkable performance right down to the streamlined design, this phone takes the cup every time. 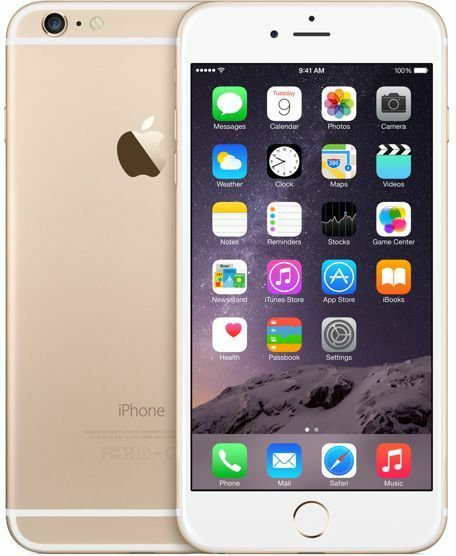 This phone has an amazingly huge capacity of 128GB and is available in a magnificent shade of gold. Its dynamic design follows dimensions of 6.22 x 3.06 x 0.28inch and is super slim. This slim body and its gold metal surface subtly blend in with its huge and lustrous 5.5inch Retina HD display. This LED backlit widescreen multitouch display is backed by the IPS technology and provides wider viewing angles. The maximum resolution of this splendid screen is 1920 x 1080 pixels. Enjoy movies, pictures and videos that look amazing with a high contrast ratio of 1300:1. With the powerful A8 chip which is now the fastest chip created by Apple, your phone will work like a charm. This chip is built on the 64 bit desktop class architecture. What’s more the operating system that gives your phone that smooth performance is the world’s most advanced yet, and is the iOS 8 OS. The phone uses the M8 motion coprocessor. Great Phone. I think it is refurbished, but looks and feels and works like new.